Pronounced 'Kai-Pur-Een-Ya', this traditional Brazilian cocktail is made by muddling limes with sugar and then adding cachaça and ice. 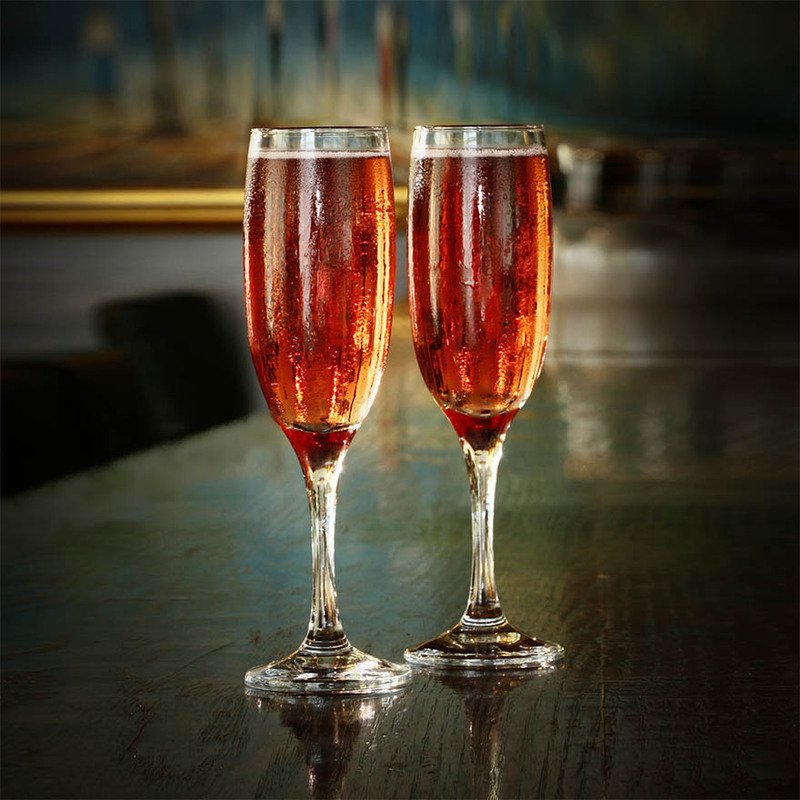 It's a simple rustic drink, usually served without a garnish, but like most things, it’s not as straightforward as it first appears. The name Caipirinha literally translates as “country little girl" and it emerged from the countryside of São Paulo state. 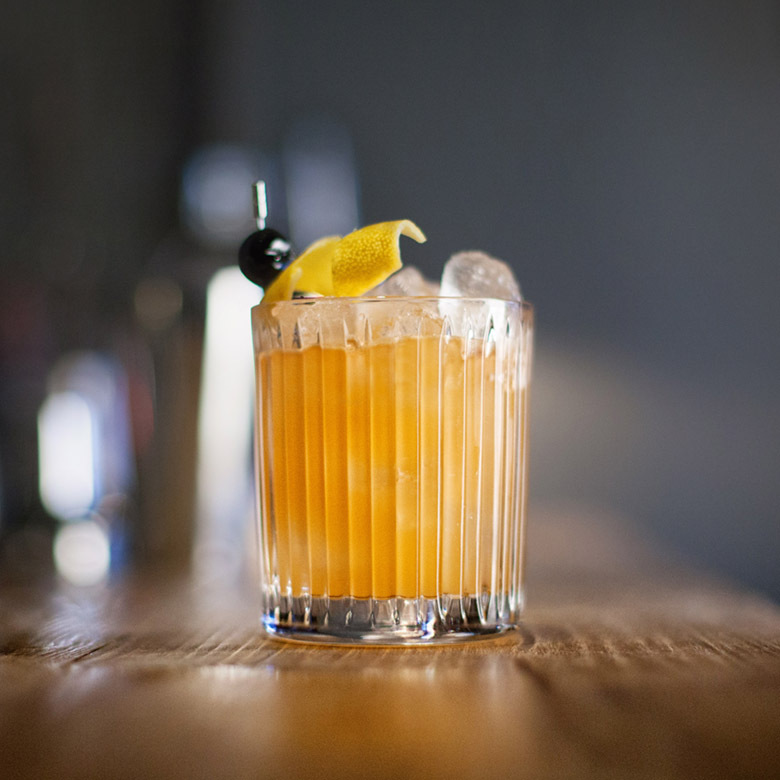 There are many stories of its origin, one saying that in the early 19th century it was common to consume a mix of cachaça, lime, honey and garlic due to the Spanish flu outbreak in the country. 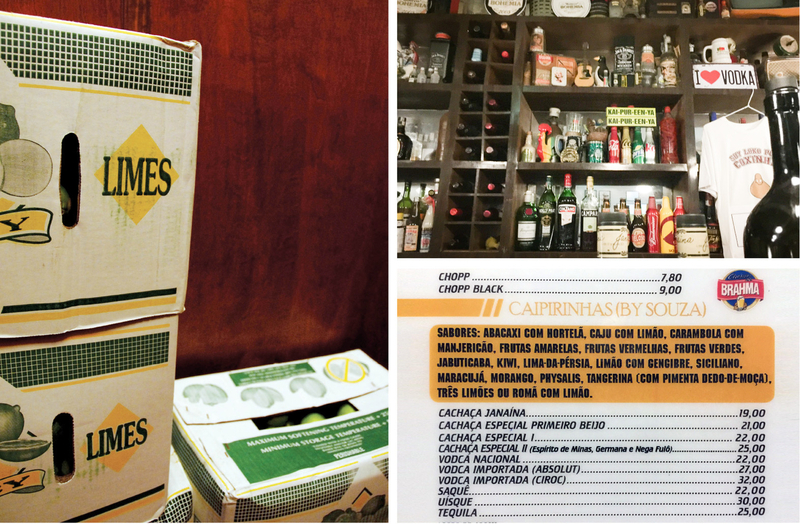 Over time, this medicinal drink arrived at the port of Santos where it came to be called "Caipirinha", since the main ingredient, cachaça, usually came from Piracicaba, in the countryside of São Paulo. Another version recounts that sailors who used to drink citrus juices with spirit to ward against scurvy, adopted cachaça instead of rum when they arrived in Brazil. Much of Brazil's population is poor and locally produced cachaça is cheap. Since the Millennium, premium brands of cachaça have emerged but even these are cheap when compared to foreign imported spirits. Cachaça is the spirit of the Brazilian people and it is mostly consumed mixed in a Caipirinha. 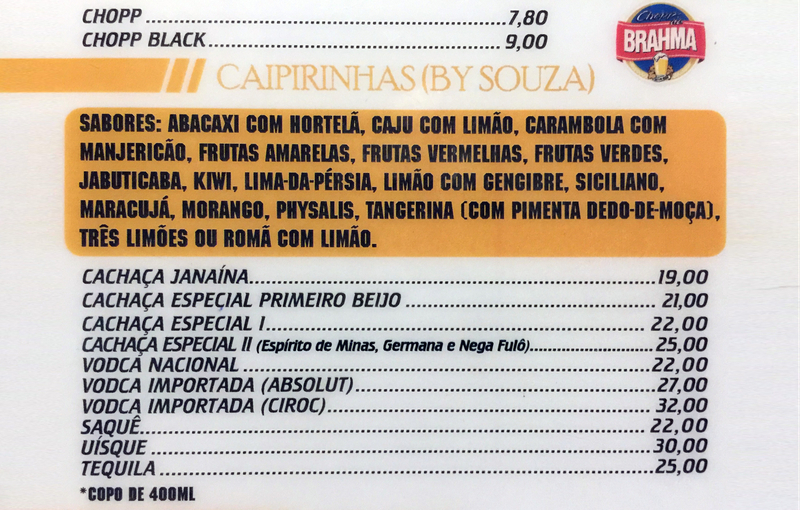 It is commonplace for high-end bars and restaurants in Brazil to offer three categories of Caipirinha - basic, using standard workaday cachaça brands (costing circa R$ 28.00 per drink), "Caipirinha Especial" made with mid-range cachaças (circa R$ 32.00 per drink), and "Caipirinha Luxo" made with premium cachaça brands (circa R$ 57.00). 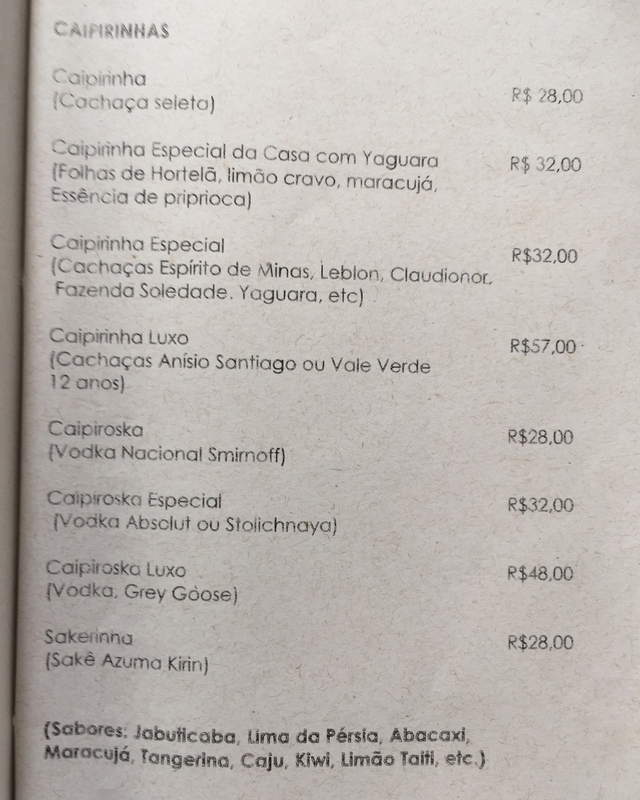 In recent decades, vodka has impacted cachaça consumption in Brazil and it is usual to see Caipiroska (Caipirinha made with vodka in place of cachaça) also listed - often also with "Especial" and "Luxo" options made using premium and super premium vodka brands. 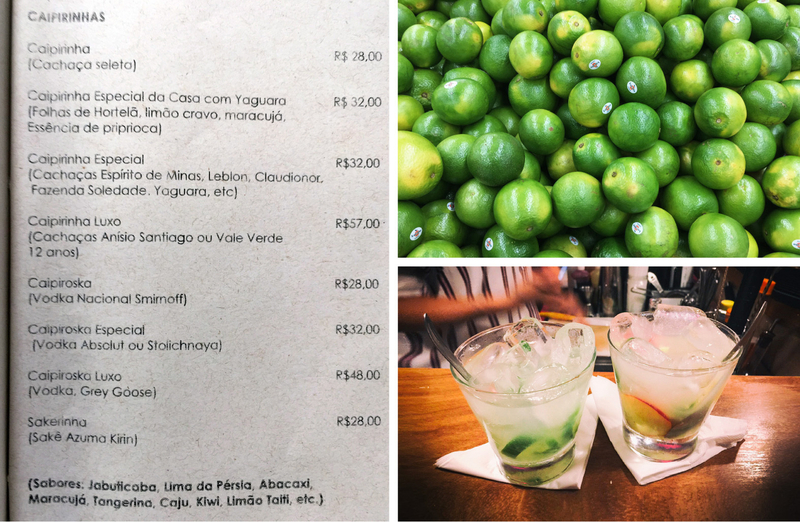 Brazil's climate offers fruit in abundance with many varieties unrecognisable to those of us from Europe or North America, and these are commonly muddled with lime in flavoured Caipirinhas. 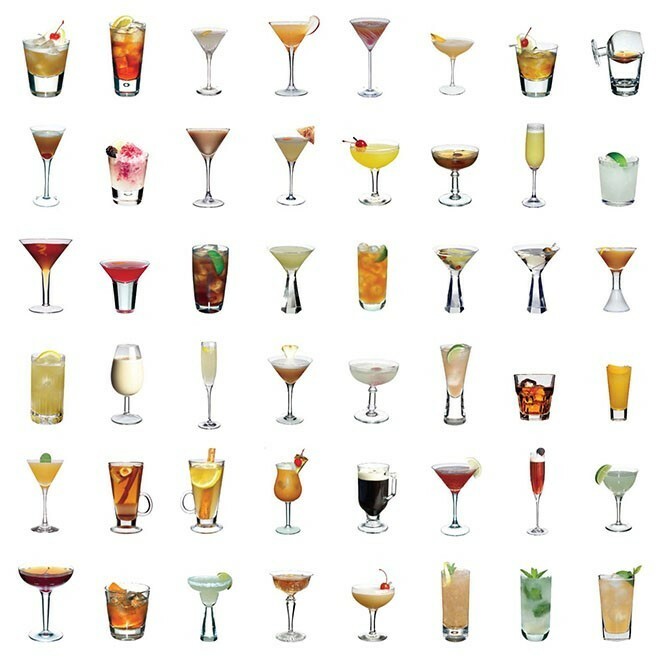 A wide variety of spices are also used, and combinations of fruit and spices often comprise "Caipirinha Especial da Casa", the 'special Caipirinha of the house' found on many Caipirinha menus. 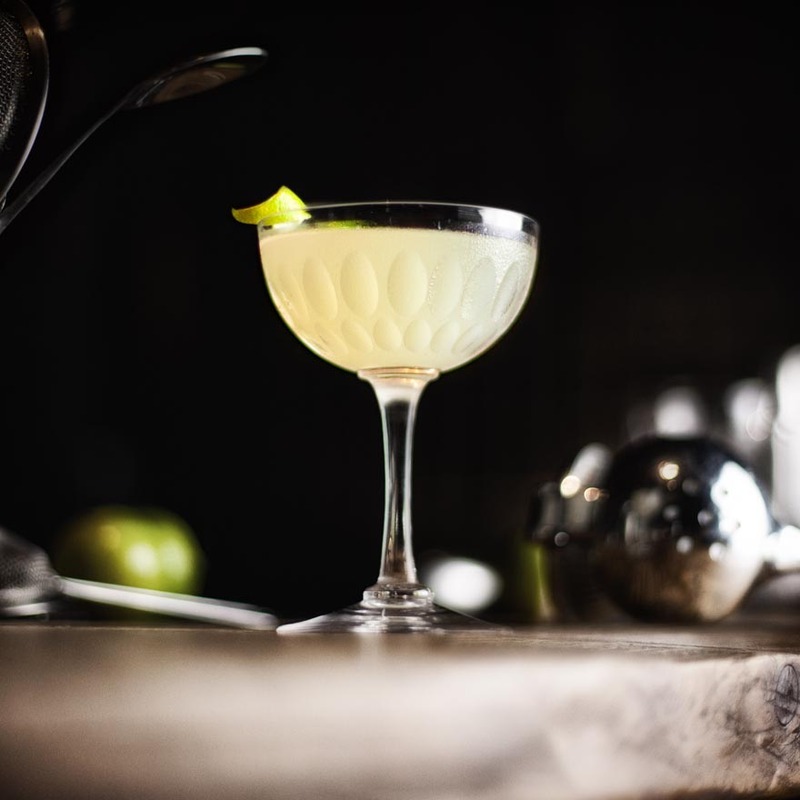 Like that other great cane spirit, lime and sugar cocktail - the Daiquiri, making a perfect Caipirinha is all about achieving perfect balance between citrus tartness, sugar sweetness and the alcoholic strength and flavour of the base spirit. 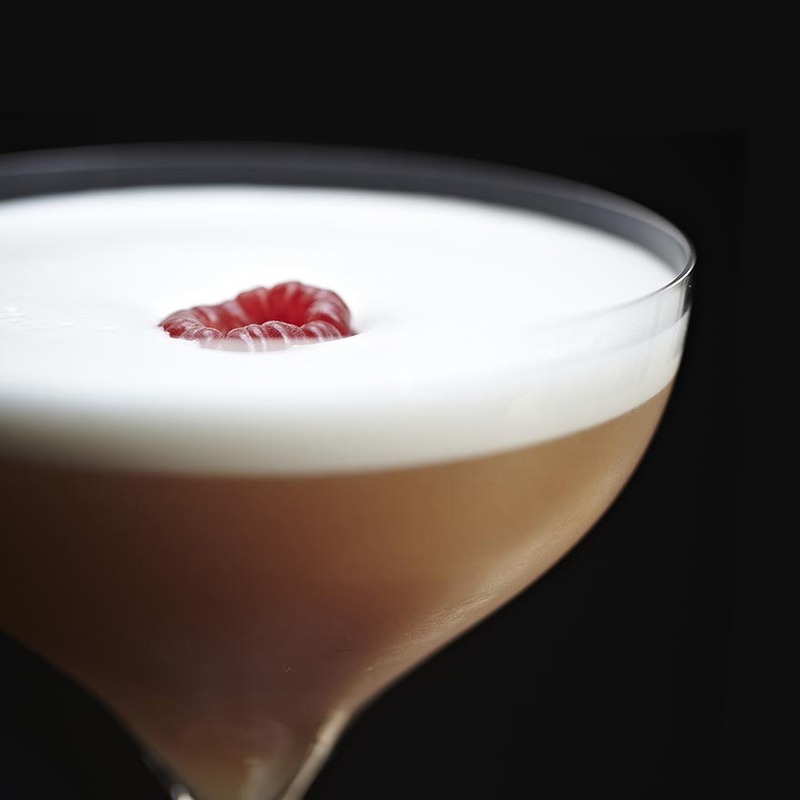 Also, in common with the Daiquiri, there are a number of variations in the ingredients used and way the Caipirinhas are made - besides flavouring with various fruits, herbs and spices. 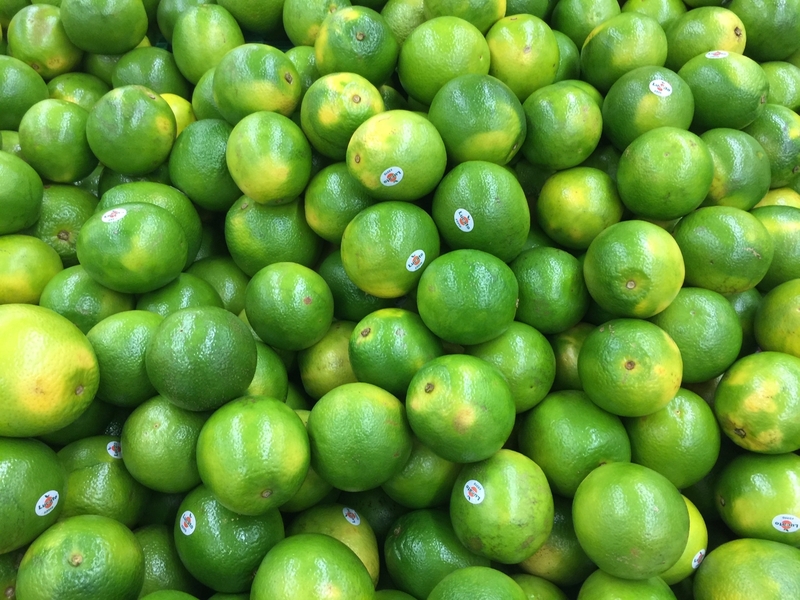 The myriad varieties of green citrus fruits collectively known as limes ('limão' in Portuguese) available around the world and the various names they go by in each country causes much confusion. In Brazil, Limão Tahiti (Citrus Aurantifolia) are commonly used to make Caipirinhas. The first Limão Tahiti trees arrived in Brazil during the mid-20th century, probably coming from Tahiti, hence the local name. However, what Brazilians call Lima da Pérsia (Citrus limettioides) "Persian lime", a quite different fruit with yellow skin (also known as Palestinian sweet lime or Indian sweet lime) are also commonplace in Brazil and often presented as an alternative on Caipirinha menus - a premium option as it were, but the original recipe is with the green Limão Tahiti. 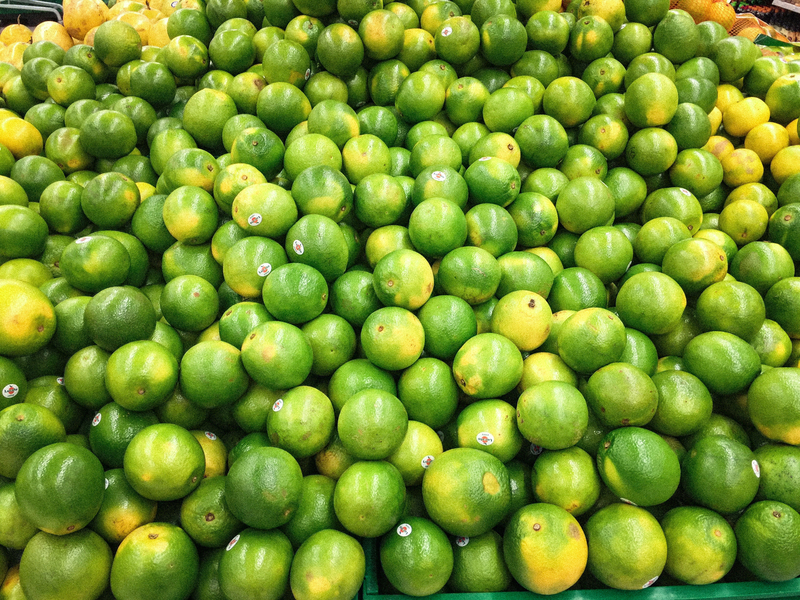 Happily, what the Brazilians call Limão Tahiti, the Tahitian lime, is the variety of lime most commonly found in European and North American supermarkets. 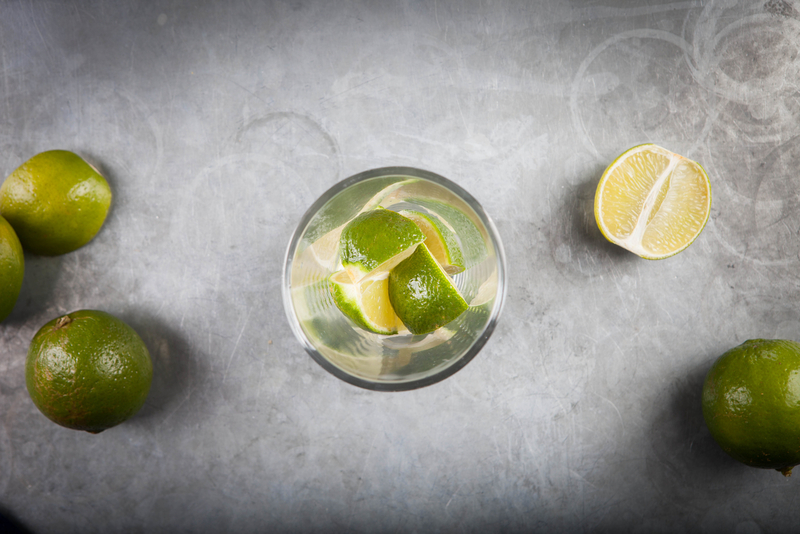 To make Caipirinhas, be sure to select limes which are ripe and feel soft when you squeeze them. I use a half lime per drink and I recommend cutting the fruit pole to pole, rather than around the equator. Remove the limes central core by cutting either side to create a v-shaped grove running pole to pole on each half. Then cut each half into eight half-moon shaped slices rather than wedges. There is much debate among bartenders as to whether granulated/caster sugar, or sugar syrup should be used when making a Caipirinha. Those who favour crystals over syrup argue that muddling with the abrasive sugar helps extract the oils from the lime's skin. Others dislike the crunch of sugar if the sugar crystals don't entirely dissolve, also arguing that syrup is easier to measure accurately. In Brazil, crystals are almost always used and there's something about the rustic nature of this drink which makes the use of pre-dissolved syrup inherently wrong - at least according to my Brazilian friends. However, use the smallest crystals available - caster or powdered sugar rather than granulated. And be sure to use flavoursome cane sugar rather than comparatively bland beet sugar. Whether you should use brown or white sugar is another question. 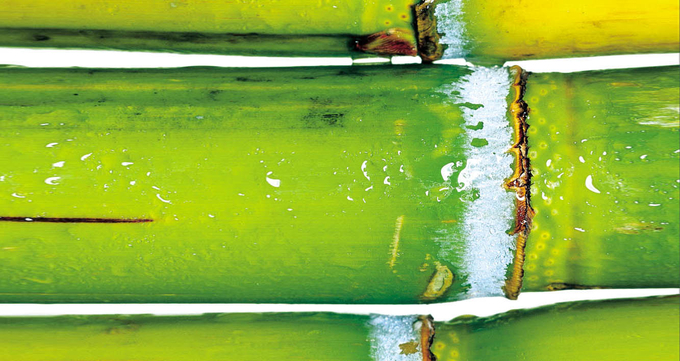 We prefer ours made the way it is in its native Brazil, with white sugar - although "white" Brazilian cane sugar has a slight yellow hue when compared to the brilliant white Caribbean sugar sold here in the UK. The flavour is also subtly different but claims that Brazilian sugar is sweeter are unfounded in our experience. Yes, you can make a great Caipirinha by measuring the ingredients carefully and precisely into a cocktail shaker, shaking with ice and then straining into an ice-filled glass. However, this is really a cachaça-based Daiquiri rather than a Caipirinha - good but unrecognisable as the Brazilian national drink. Others muddle the lime and sugar in the base of the shaker, add the cachaça, shake with ice and then pour (without straining) into the glass. The result looks like a Caipirinha, and depending on the ice used this method also makes an acceptable drink, but not really a Caipirinha. A Caipirinha should be muddled and built in the glass. It's easier to muddle the limes in a robust tumbler/rocks glass than it is in a tall glass, so in both its native Brazil and other countries where the Caipirinha has travelled, this is the style of glass most often used. (I use Libbey Everest Plus DuraTuff Stackable). Hence, I like to muddle the fruit and sugar in a rocks glass and then tip the muddled fruit into a hi-ball glass. I swirl the cachaça in the rocks glass to collect any remaining fruit pulp and sugar before also tipping the cachaça into the hi-ball glass in which the drink is to be served. It's a bit more of a faff but the finished drink looks, and so seems to taste better. 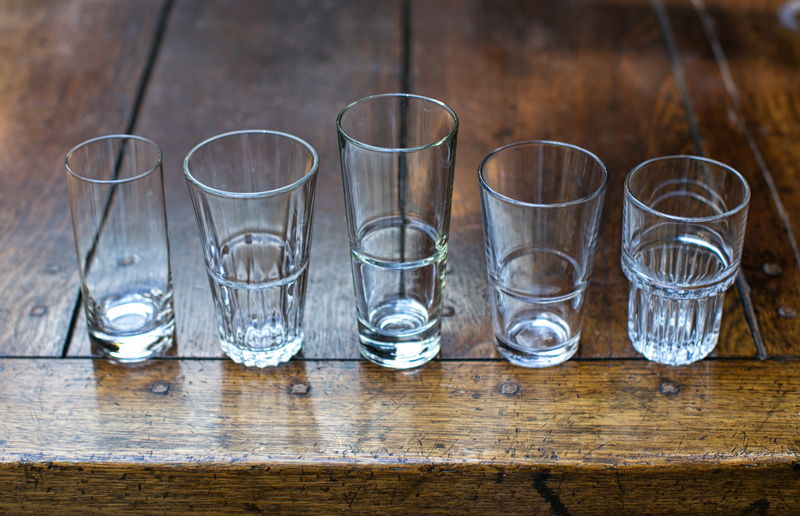 Whatever glass you choose to muddle in, for safety's sake, be sure to muddle in a sturdy glass. In Britain and other 'new' cachaça markets it is common to serve Capirinhas with crushed ice, but in Brazil it is served with cubed ice - actually, usually small tubular shaped ice which has a large surface area, so adding dilution to the drink. Hence, if using large ice-cubes straight from the freezer, crack each cube into several chunks using an ice-tapper. Please don't use finely crushed ice as this appears to kill the drink's aromatics and flavour. 1. Wash lime and cut off very ends of its poles (top & tail) before cutting in half (from pole to pole). 3. Transfer the chopped lime from the cutting board into a robust shatterproof rocks glass. 4. Add 3 heaped barspoons (2 large teaspoons) of white caster sugar (or ½oz / 15ml sugar syrup 2:1) and muddle. 5. Dilution is key to a good Caipirinha, so depending on your ice, consider adding ¾oz / 22ml chilled water. Or, alternatively, add your fruit of choice - e.g. 8 raspberries, or 3 strawberries, or ½ a kiwi fruit - and muddle some more. The fruit juice adds dilution as well as flavour. 6. 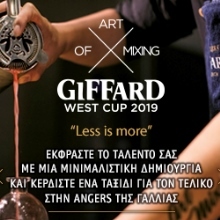 When sure muddling has fully extracted the juice from the fruit and the sugar is dissolved, tip/pour the muddled fruit and sugar into serving glass (preferably a 30cl/10oz hi-ball glass). 7. Pour cachaça (stored in the freezer) into the rocks glass (previously used to muddle) and swirl to rinse glass before pouring cachaça into serving glass. Stir to ensure cachaça is well mixed with fruit. 8. Crack (rather than crush) four large ice cubes and drop into serving glass. 9. 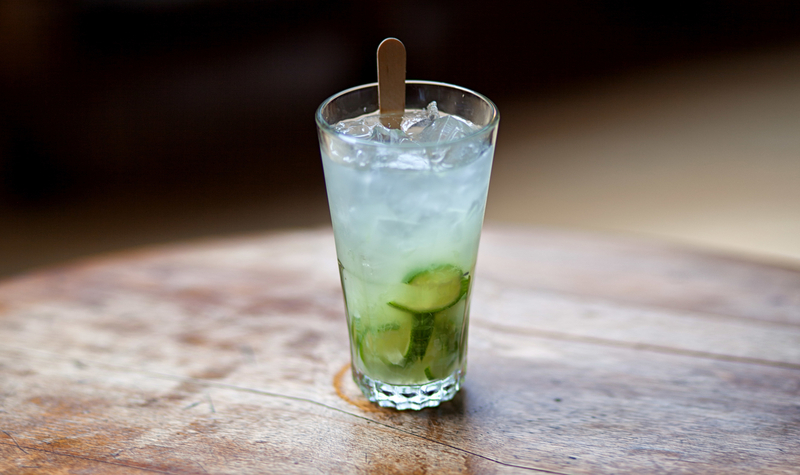 Stir before adding more ice and then serve with a stirrer (a wooden lolly pop stick perhaps) but no straws. Abacaxi Caipirinha - with pineapple, lime, sugar and cachaça. Berry Caipirinha - with raspberries, blackberries, blueberries and strawberry, lime, sugar and cachaça. Blueberry Caipirinha - with blueberries, lime, sugar and cachaça. Cajá Caipirinha - with Spondias mombin fruit, lime, sugar and cachaça. Caju Caipirinha - with cashew fruit, lime, sugar and cachaça. Carneval Caipirinha - with mango, lime, sugar and cachaça. Cucumber Jalapeñ0 Caipirinha - with English cucumber, jalapeño, lime, sugar and cachaça. 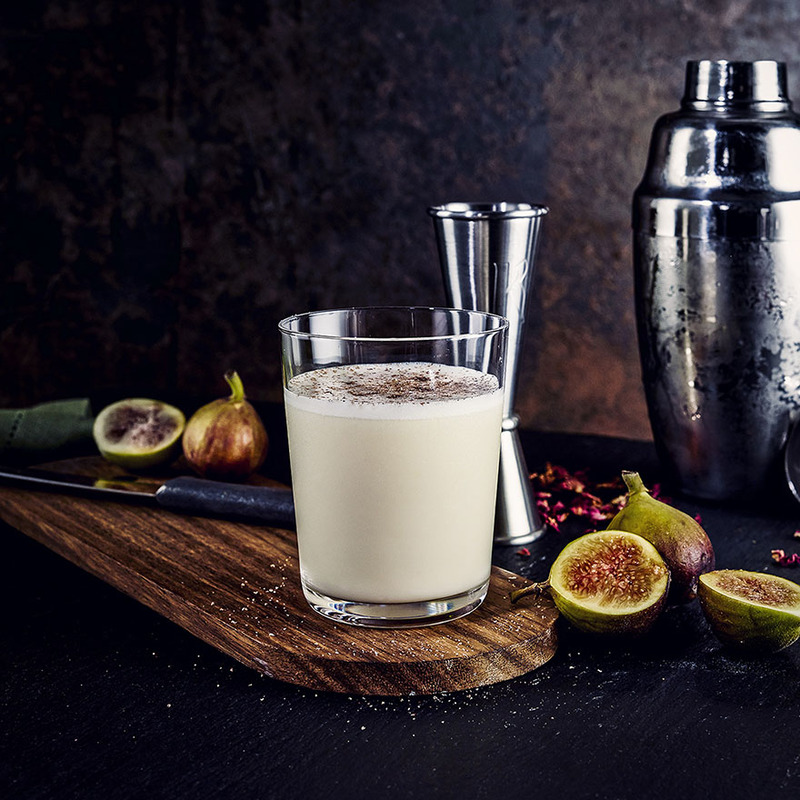 Ginger & Fig Caipirinha - with fig, ginger liqueur, lime, sugar and cachaça. Goiaba Caipirinha - with guava fruit, lime, sugar and cachaça. Grape Caipirinha - with white grapes, lime, sugar and cachaça. Jabuticaba Caipirinha - with Jabuticaba (pronounced 'Jz-boo-tea-caba') which are are small round, thick-skinned purplish-black, white-pulped berry-like fruits which grow on the trunk of the Brazilian grapetree (Plinia cauliflora). These berries are muddled with sugar and cachaça (no lime). One of the most popular fruit variations of a Caipirinha in Brazil. Kiwifruit Caipirinha - with kiwi fruit, lime, sugar and cachaça. Lemon Caipirinha - with lemon (in place of lime), sugar and cachaça. Maracujá Caipirinha - with passion fruit, lime, sugar and cachaça. Milho Verde Caipirinha - with sweetcorn, lime, sugar and cachaça. Pineapple & Mint Caipirinha - with, pineapple, mint, lime, sugar and cachaça. Raspberry Caipirinha - with raspberries, lime, sugar and cachaça. Red Grape Caipirinha - with red grapes, lime, sugar and cachaça. Sakerinha Caipirinha - with sake in place of cachaça. Sake is very popular in Brazil, as are Sakerinha Caipirinhas. Strawberry & Basil Caipirinha - with strawberries, basil leaves, lime, sugar and cachaça. Caipirinha D'uva (Sweet Grape) Caipirinha - with lime, red grapes, sauternes wine and cachaça. Tangerina Caipirinha - with tangerine, sugar and cachaça. Tropical Caipirinha - with coconut rum liqueur, pineapple, lime, sugar and cachaça.